These camping recipes are just the ticket for summer fun. These are all new recipes not found in my camping cookbook, 100 Easy Camping Recipes. (see below). So if you are grabbing my cookbook on your way to the campsite, also print out any of these recipes you might want to bring along for the trip. 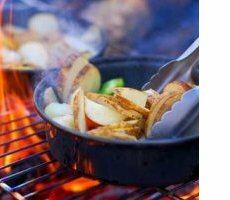 Many recipes can be put in foil and cooked on the campfire or on a charcoal or gas grill. These camping recipes are great for a meal you can prepare, encase in foil and just let it cook. 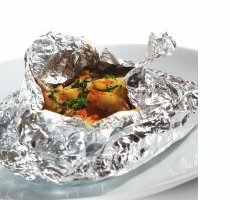 Click here for foil packet recipes. The old standby for campfires, of course, is the hot dog. Here's a few variations of the campfire cooked hot dog. Wouldn't be camping with them! Click here for hot dog recipes for camping. Here are chicken recipes made just for camping. 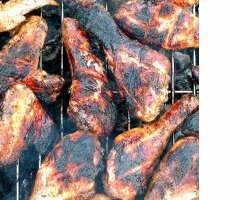 Recipes include Campfire Mexican Chicken, Yummy Sticky Chicken and Camping Chicken and Rice. Also an easy to make Campfire Fajitas. Browse the chicken recipes here. Variations of the standard grilled hamburgers to spice up your camping meals! Just reading them makes me hungry. 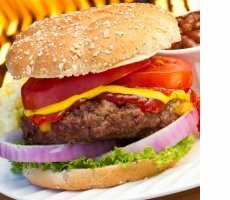 Check out the hamburger recipes here. Yummy, the campfire wouldn't be the same without dessert. Try one of these delicious recipes next time you go camping. 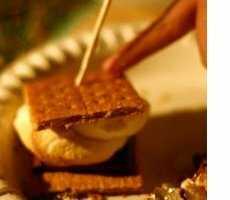 There's more to dessert than just s'mores ... camping dessert recipes. One pot dutch oven recipes are so convenient to make when camping. Here are several recipes to get you started...Dutch oven recipes. 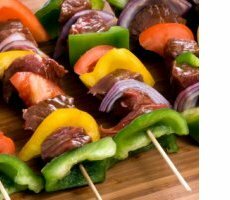 Delicious recipes for cooking beef while camping. Start with the steak sandwiches! Be sure to print out the beef recipes before leaving for your camping trip. 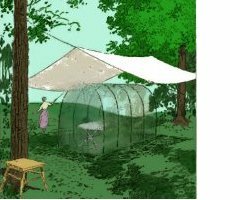 Buy one of my 2 camping recipe books - Kindle or paperback.